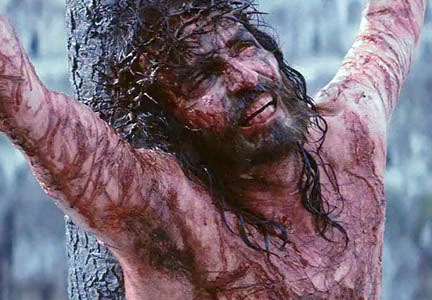 There’s never been a more vivid portrayal of Christ’s crucifixion than in the movie The Passion of the Christ. I would say vivid is a weak description, and gut-wrenching, gruesome and gory better. Mel Gibson could not have made the movie more, well, realistic. The dichotomy of belief and disbelief was masterfully depicted. In a matter of a few days from the triumphant entry of the King on a donkey, the disbelieving rulers, scribes, Pharisees and people suffered a slow-motion stumble that would doom them to hell (yes this is a real place!). What really happened was that God was in the process of laying the cornerstone of a new “chosen race” and “royal priesthood,” founded on the blood of Jesus. Those who saw the precious value of this man who briefly walked this earth would not be disappointed. While it appeared tragically and suddenly over, death was conquered for all who believed, and would believe in generations to come. And don’t miss the correlation between obedience and belief, and disobedience and disbelief. What was contested was the word of God, as it still is today. Here Peter quotes Old Testament scripture to make his case. The leaders and the people knew the truth but defied it and denied it. Their disbelief had grave consequences, but not for Jesus, and not for those who kept the faith. This entry was posted in 1 Peter, Devotionals and tagged 1 Peter 2:6-8, belief, cornerstone, disappointed, disbelief, Mel Gibson, stone, stumbling, The Passion of the Christ. Bookmark the permalink.